Cryptozoic Entertainment is offering a new two-player deck builder as part of its DC Deck-Building Game series. Rivals—Green Lantern vs. Sinestro will release in October. The new stand alone set recreates the never-ending conflict between Hal Jordan and Sinestro. The 98 cards in the set include new heroes, villains, equipment, locations, and constructs, and features two different approaches to play. The Sinestro side is built around attack and forcing his opponent to take bad cards, while the Green Lantern side prefers drawing extra cards and a strong defense. The game includes six over-sized character cards with variable costs. Each character has its own unique ability. As characters are defeated, they become more powerful and gain access to improved abilities, until ultimately one ring-bearer proves triumphant. 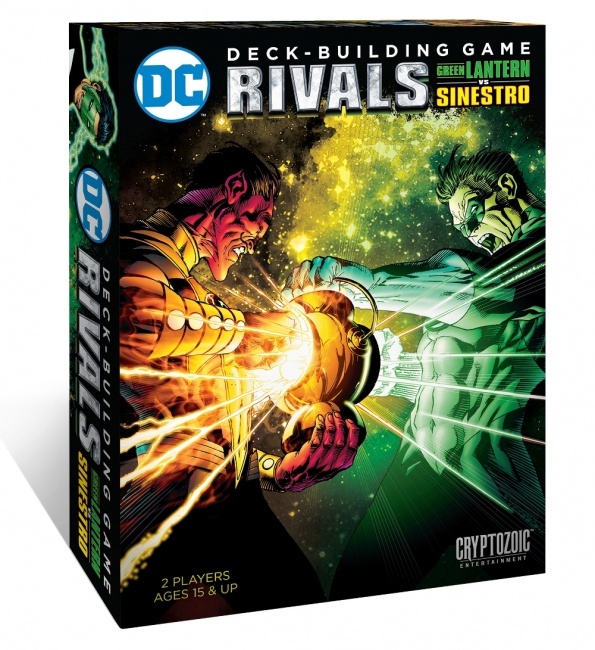 The DC Deck-Building Game: Rivals—Green Lantern vs. Sinestro is fully compatible with the earlier Rivals—Batman vs. The Joker and the Confrontations set. It comes with 98 game cards and 6 character cards. The game is intended for 2 players, ages 15 and up, and takes about half an hour to play. MSRP is $20.00. 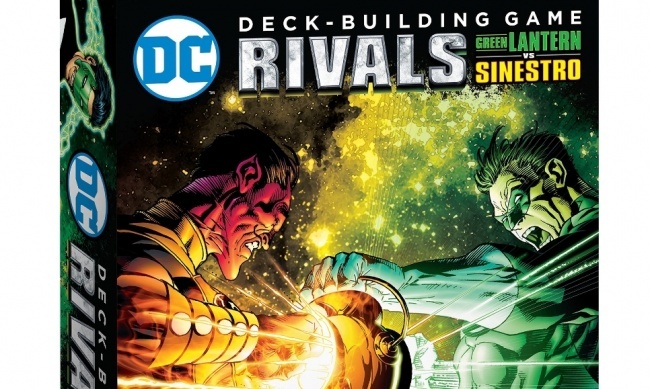 Rivals—Green Lantern vs. Sinestro joins two other DC Deck-Building Game sets announced this year (see “Cryptozoic Brings ‘Rebirth’ to ‘DC Deck-Building Game’”).